Regular updates on the snow, the food, the people and more! Hot Chocolates and good play rooms along with lots of snow play makes for a great day for the little ones. What to do with kids in Hakuba. Ski holidays are great family adventures that create fond lifelong memories. There are lots of fun things to do in the snow on and off the resort and the kids here have an absolute ball. Depending on the age of the children ski lessons are the obvious first choice which allows the parents to get their dose of snow time while the young ones are learning the fine art of snow plough. For the even younger ones the parents will often swap so it’s important that the base areas of the resorts have good facilites to keep the kids occupied and mum or dad comfy. Most areas have inside play rooms and outdoor areas for snow activities. There are creche options along with babysitting services so both mum and dad can get out there and enjoy going back in time to their pre-parenthood days of sking blissfully down the mountain together without another care. Hakuba is a great holiday destination and a fantastic cultural experience for all of the family. Living the dream and "Riding The White Horse". Come and stay with us in Hakuba and we'll show you the best of what Hakuba has to offer. 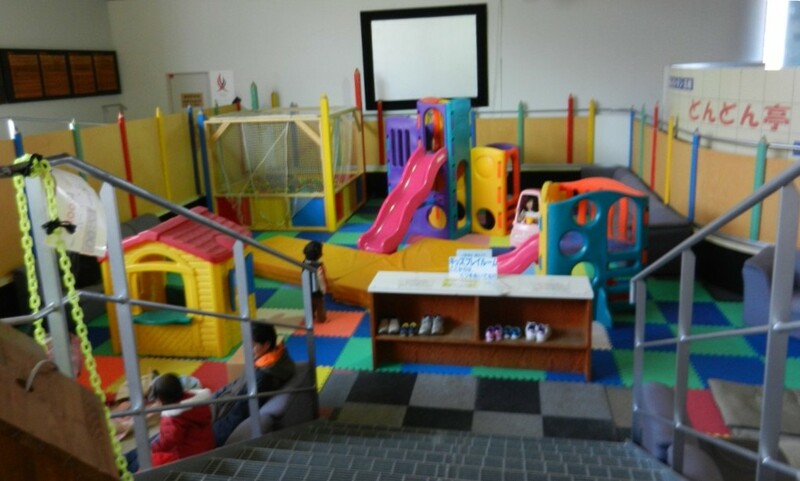 This entry was posted in Hakuba and tagged babysitting, creche, kids activities in Hakuba, kids club Hakuba, what to do with kids in Hakuba. Bookmark the permalink.